Queen Elizabeth II’s Christmas Message (Americans read here) will join the 21st century this year with the Royal Family launching its own YouTube channel. The Royal Channel will feature the annual Christmas Day message as well as recent and historical footage of Her Majesty and other members of the Royal Family. The launch of the YouTube channel will mark the 50th anniversary of the Queen’s first televised Christmas Address in 1957. According to the Guardian the Queen “was not immediately acquainted with the YouTube phenomenon” but personally approved the channel after encouragement from her family, including Princesses Beatrice and Eugenie who are said to be both avid Facebook fans. Footage available on the site includes footage from the 1923 wedding of the future George VI to Lady Elizabeth Bowes-Lyon (later the Queen Mother) and historic footage from 1917 of Queen Alexandra visiting rose sellers in London’s West End. The Queens Christmas message is a tradition in Commonwealth countries and is usually broadcast in full in most of them. 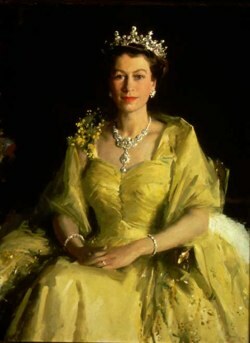 As well holding the position of Queen of Great Britain and Northern Ireland, HRH Elizabeth II is also Queen of Canada, Australia, New Zealand, Jamaica, Barbados, the Bahamas, Grenada, Papua New Guinea, the Solomon Islands, Tuvalu, Saint Lucia, Saint Vincent and the Grenadines, Antigua and Barbuda, Belize, and Saint Kitts and Nevis.